- Set of replacement cages for single-caged pedals, made by Belgian brand Jitsie for the 2016 season. 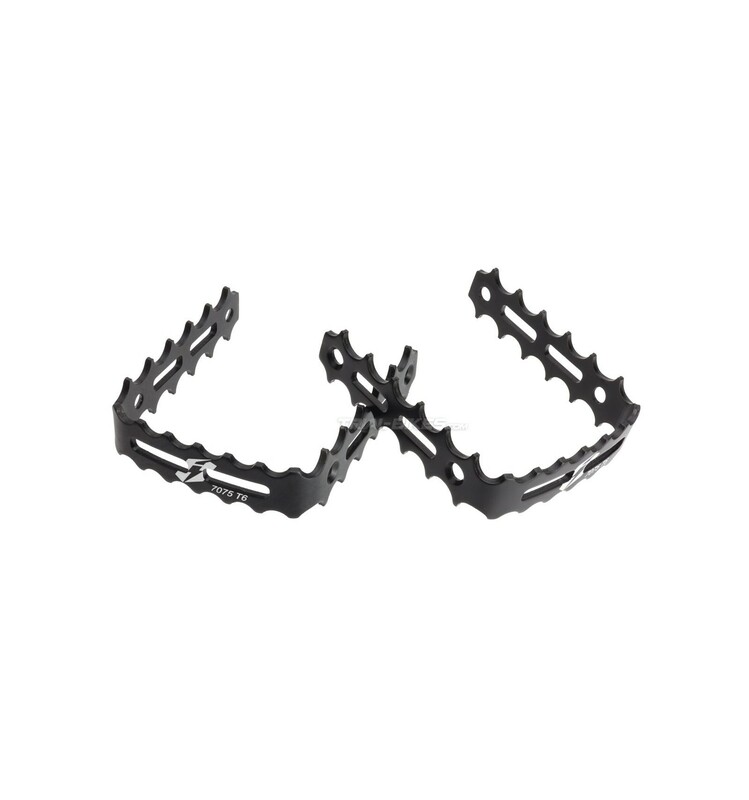 - Ideal to replace damaged or broken cages without needing to replace the whole pedal, saving a bit of money in the process. - Made from high quality 7075-T6 aluminium alloy, which provides great impact strength and prevents the cage from getting bent. - The teeth on the outer side are shorter than the rest, which reduces the possibility of having the pedal get stuck with obstacles, and therefore avoids it from being damaged. 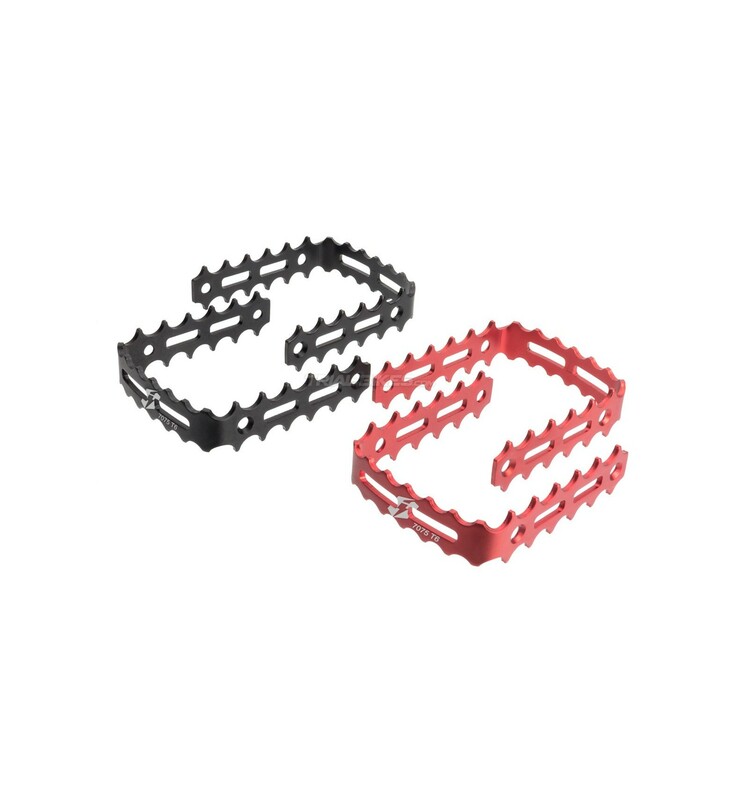 - Each cage features 6 rectangular holes that help save weight. 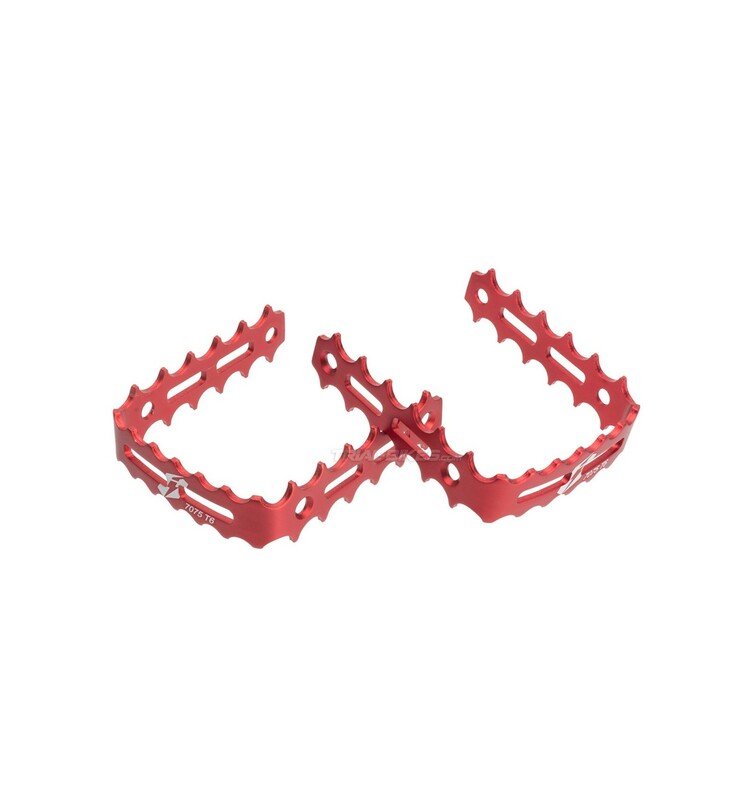 - Note: check the Compatibility section in this product to view which pedals are compatible with these cages. - Supplied as a pair, enough to replace the cages of a set of pedals. - Available in anodized red or black, with white laser etched Jitsie logo. - These cages are compatible with single-caged pedals made by Hashtagg, Clean, Try-All, Rockman, and also all those that have the dimensions previously stated. 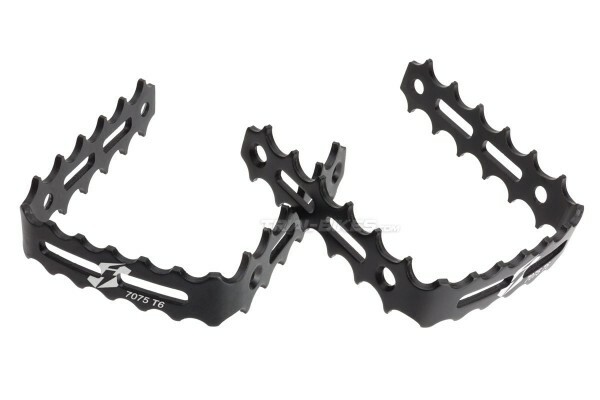 - They can also be used with Because double-caged pedals, to replace the outer cages.